No. 4 Discovery 70, Mountain View 59: Jaden Walker totaled 24 points, 10 rebounds and 8 assists. Hasahnn Reynolds pitched in 16 points and 7 rebounds. London Riley netted 8 points. Mountain View was led by Naheim Alleyne’s 14 points and Cam Rowland’s 12. No. 6 Norcross 53, Berkmar 46: Brandon Boston dropped in 22 points while USC-signee Kyle Sturdivant had 14 to edge the Blue Devils past the Patriots. Berkmar was led by Kashaun Swan’s 16 points. East Coweta 88, No. 7 Westlake 74: The Indians made a statement, moving to 8-0 to start the year. Mandez Jones poured in 32 points while Chris Youngblood netted 20. Brandon Stroud scored 15 and Zac Hill had 15. No. 8 Lambert 65, Roswell 35: Colin Granger posted 19 points and 10 rebounds while freshman Chance Thacker hit 4 threes on his way to 14 points. Mitch Ganote tacked on 11 rebounds and 10 assists. Rockdale 51, 6ANo. 6 Heritage-Conyers 44: Jalen Horton scored 20 points and Kevin Sesberry netted 12 in an upset of the Patriots. In the loss, Adrian Boykin scored 11 points. Walton 57, Forsyth Central 48: Brandon Sherer scored 13 in the loss while Anthony Roveto netted 11. South Gwinnett 69, Banneker 47: Gerald Tillman and Max Harris scored 14 points apiece. Ja’heim Hudson had 13 points and 5 rebounds. Zawdie Jackson dished out 6 assists. No. 5 Langston Hughes 63, New Manchester 60: Dee Topps scored 27 points in the defeat. No. 9 Mundy’s Mill 75, Stephenson 68: Chris Lango (17), Jordan Black (14), Rayquan Brown (12) and Jalen Thrash (9) paced the Tigers. Cambridge 91, Northview 35: Kamar Robertson had 24 points to lead the Bears. Matt Cleveland (14), Bryce Boutelle (14) and David Kramer (12) all cracked double digits. Austin Flemmer and Bryce Klacynski each scored 7 points. Lovejoy 69, Morrow 61: Braelen Pierce scored a team-high 21 points followed by Omari Callahan’s 19. Marlon Brownfield had 14 points and Jamal Reynolds netted 8. Brunswick 66, Tift County 56: Sheydan Baggs scored 16 points while Kelan Walker had 15 points and 8 rebounds. Sharod Ross added 11 points. Joyful Hawkins posted 9 points and 9 rebound. Justin Walker tallied 9 points and 7 rebounds. 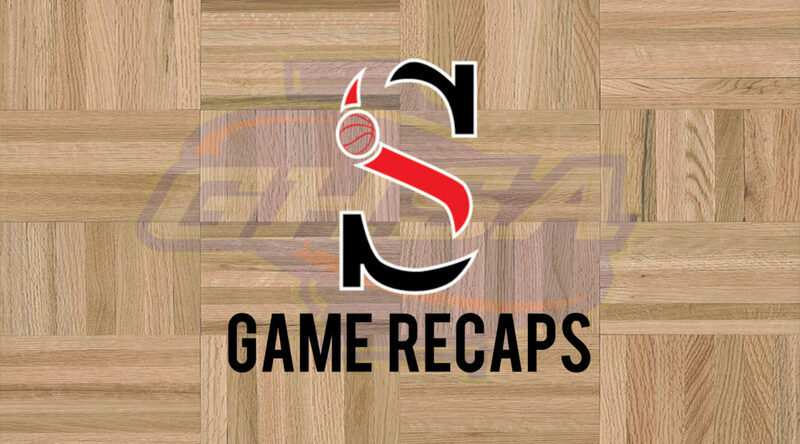 Chattahoochee 74, Centennial 67: AJ White dropped 30 points while Cam Sheffield added 27. The Cougars went 26-of-28 from the foul line. South Paulding 67, Cedartown 51: Shane Gibson had 9 points, 6 rebounds and 4 steals while Knowledge Ruben added 9 points. Cam Armstrong chipped in 8 points and 3 steals. Apalachee 63, Monroe Area 59: Jamonte Wallace scored 12 of his 22 points in the fourth quarter to carry the Wildcats to the finish line. Jay German stroked 4 threes. Alpharetta 63, Dunwoody 58: North Carolina A&T-signee Brandon Barron scored 29 points. Kalik Brooks added 15 points and Kyle Hulsman chipped in 11. No. 1 Southwest DeKalb 78, No. 6 Columbia 47: The Panthers pounded their region rivals. KD Johnson finished with 25 points. James Glisson III posted 22 points and 13 rebounds. Jarrett Walton added 5 points, 6 rebounds and 4 assists. No. 4 Lithonia 67, Chamblee 60: Eric Gaines scored 19 points to pace the Bulldogs. N’Kyzie Hawkins netted 13 points while Brison Rockcliffe added 10. Rodney Smith dumped in a game-high 31 points off 6 threes in the loss. Zachery Mackson chipped in 18 points. Kell 82, East Paulding 44: Scoot Henderson netted 15 points. Rakim Thompson scored 14 and Najhae Colon had 9. Justin Perry pitched in 8. Walnut Grove 74, Loganville 62: Jailen Robinson scored 19 points and Quantavious Rogers had 16. Ryna Landers added 12 points, 9 rebounds and 5 assists. Grady 62, Maynard Jackson 55: Michael Stevens scored 19 points and Jalen Dunham added 10 points, 5 rebound and 3 assists. Dewan Wright finished with 9 points and 6 rebounds. Markell Scott had 8 points, 4 rebounds and 6 steals. No. 1 Upson-Lee 75, Monticello 24: Jarrett Adderton (18), Travon Walker (16), Zyrice Scott (12) and Javeon Walker (12) led the charge as the Knights raced to their 67th straight win. No. 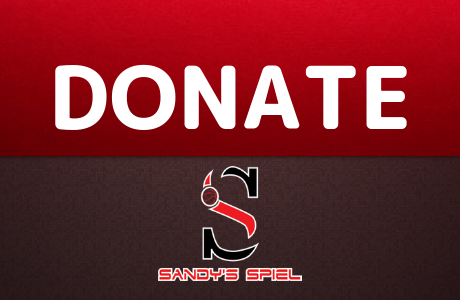 3 Sandy Creek 66, Starr’s Mill 57 OT: Julian Alexander went for 26 points to lift the Patriots past the Panthers. Keith Williams scored 13 points. Drexel-signee TJ Bickerstaff tallied 12 points, 6 rebounds and 7 assists. Jabari Smith had 7 points, 10 rebounds and 4 assists. No. 4 Woodward Academy 82, Hampton 48: Walker Kessler posted 24 points, 6 rebounds, 3 steals and 4 blocks. Will Demorest netted 14 points while Jacorrei Turner added 13 points. Michael Whitmore had 12 assists and 3 steals. Kevin Powell had 6 points and 4 rebounds. Donte Bush pitched in 6 points. No. 5 Henry County 47, Salem 41: Wisdom Uboh finished with 17 points, 11 rebounds and 2 steals. Josh Steele scored 13 points and had 4 rebounds. Lay Davis snagged 18 rebounds. Pickens 72, Ridgeland 69: Zach Goss powered in 27 points, 6 rebounds, 3 assists, 1 steal and 2 blocks. Seth Bishop had 16 points, 8 rebounds and 3 steals. Tucker Lowe added 16 points and 3 assists while Brady Moore finished with 11 points and 4 rebounds. Eastside 63, North Clayton 61 OT: Eastside got 22 points from Darrell Duncombe and 13 from Jacob Walden. In the loss, Jermaine Lattimore scored 26 points. Derrius Martin scored 10 points and Xavier Valley added 9. Onuma Dieke netted 8. Chestatee 62, Johnson-Gainesville 59: Cameron Gwyn finished with 21 points while Brenton Nichols pitched in 17. Danny Garcia scored 23 points in the loss. Jesse Harbin had 15 and Jonathan Williams netted 10. Madison County 67, Habersham Central 53: Traveon Latimore scored 23 points while Dylan Carey added 15 as 10 players scored. West Hall 55, North Oconee 51: Noah Edmondson went for 20 points, 8 rebounds, 3 assists and 4 steals in the win. No. 3 Johnson-Savannah 72, Savannah 45: Brandon Harris scored 18 points to go with his 10 rebounds and 2 steals. Emondre Bowles finished with 10 points, 7 assists and 8 steals. Robbie Bradham (10) and Mike Graham (9) chipped in offensively. Lamont Sams posted 8 points, 7 rebounds and 5 blocks. Redan 55, No. 5 Pace Academy 50: Javen Smith caught fire with 31 points, 4 assists and 3 steals to lift Redan to a signature win early in the season. Siah Gray had 15 points, 6 rebounds and 5 assists. Central-Macon 58, 2ANo. 7 Northeast-Macon 57: Tony Card had 7 points including the game-winner to shock the Raiders. Quay Primas posted 13 points and 7 rebounds. Cam Collier had 11 points and 8 rebounds. Tyre Pearson double-doubled with 10 points and 10 rebounds. Darius Dunn scored 31 points in the loss. Ty’Ree Gilbert had 12 points. Lovett 64, Towers 50: Ryan Mutombo collected 16 points, 12 rebounds and 4 blocks. Lance Beck scored 13 points. Michael Hardee had 11 points and UVA football-commit Nick Jackson added 6 points and 7 rebounds. Jackson County 52, Oglethorpe County 31: Kendric Zimmer netted 21 points on 5 threes. Kalib Clinton scored 13 points. No. 1 Woodville-Tompkins 99, Bacon County 47: Freshman Alfred Coaxum piled in 26 points. Preston Crisp scored 19 followed by Bernard Pelote’s 17. Deante Green added 10. No. 3 Washington County 81, Johnson County 33: The always balanced Golden Hawks kicked off their 2019 campaign. Ivory Williams and Jarden Maze led WACO with 13 points apiece. Kejuan Bloodsaw scored 11 points. Jay Sanders had 9 points and 8 rebounds. Zeri Taylor posted 6 points, 4 assists and 6 steals. Jamarius Dixon tallied 5 points and 2 steals. Bleckley County 75, 3ANo. 6 Westside-Macon 74 OT: Mykel Anderson scored 31 points including the go-ahead tip-in with six seconds left to upset the Seminoles. Nykeem Farrow poured in 25 points. Hapeville Charter 70, Washington 59: Miles Carter dumped in 26 points to pace the Hornets. Davin Quinones scored 17 and Calel Burns scored 16. No. 1 St. Francis 91, King’s Ridge 39: Jusaun Holt finished with 22 points, 6 rebounds and 4 steals. Xavier-commit Dwon Odom had 16 points, 4 rebounds and 10 assists. Chase Ellis posted 13 points, 12 rebounds and 3 assists. CJ Riley scored 10 points to go with his 3 assists and 3 steals. Jordan Brown tossed in 10 points and 4 assists. Grey Schiwitz had 8 points and 5 rebounds. No. 7 Walker 83, Atlanta International 29: Chris Newell scored a game-high 23 points. Burke Chebuhar had 16 points, 8 rebounds and 3 assists. Chandler Baker added 16 points and 6 rebounds. Darius Garvin netted 11 points. Omar Cooper orchestrated the offense with 5 points, 12 rebounds, 11 assists and 3 steals. No. 8 Lakeview Academy 81, Rabun Gap 70: Adam Cottrell sank 7 threes en route to 25 points. Blake McIntyre totaled 14 points, 10 assists and 5 steals. Arturo Varela had 14 points and 5 assists. Holden Cooper netted 12 points while KJ Millwood pitched in 10 points and 8 rebounds. Brookstone 62, Mt. Vernon Presbyterian 60: In the loss, Jordan Wicker scored 16 points. Justin Douglas had 14 and Will Mitcham pitched in 13 points. Paideia 47, Notre Dame Academy 43: Jaylan Troutman scored 13 points. Galloway 51, Mt. Paran 40: Anthony Arrington scored 16 points. Connor Hay netted 13. No. 2 Georgia Military 68, Lake Oconee Academy 23: Malik Foston finished with 25 points, 6 rebounds, 4 assists and 4 steals. Jalen Milner had 11 points, 5 assists and 3 steals. Jabari Dixon chipped in 10 points while Jamond Butts gathered 6 steals. No. 6 Wilcox County 74, Fitzgerald 64: Tyrese Powers scored 20 points in the loss while Joe Arnold added 14 and Key Daniels netted 11. No. 10 Greene County 65, Putnam County 22: DJ Wright finished with 18 points, 4 rebounds and 4 assists. Justin Mallory added 10 points, 7 rebounds and 5 blocks. Commerce 69, Providence Christian 43: Ian McConnell (16), Jalen Dorsey (13) and Tylel Strickland (13) paced the Tigers. Randolph-Clay 80, Webster County 65: In the loss, Keundre Campbell pumped in a 40 piece. Rasheed Jenkins scored 19 points. Campbell is averaging 33.7 points while Jenkins is pitching in 21.7 as the Bobcats have only been able to suit up five players. Bowdon 70, Ranburne (AL) 53: Chris Parker posted 23 points and 10 rebounds. Andrew Messer and Cam Buchanan scored 10 points apiece. Kolton Drummond scored 9 while Tray Wyatt netted 8. Greenville 68, Jordan 62: Kenneth Green and Tra’Quan Davis scored 19 points apiece in the loss. Terrelle Barnes added 10 points and Kentrel Green scored 7. Arlington Christian 92, LaFayette Christian 67: Femi Akinola scored 22 points followed by Rico Wade II’s 18. Jamar Little (17) and Dexter Redding (14) both hit double digits. Chandler Barrow scored 8. Toderick Hartzog tallied 3 points and 10 assists. No. 2 Westlake 82, East Coweta 33: Raven Johnson scored 16 points in the first half. East Coweta got 9 points from Sherry Geboy and 8 from Letiya Reeves. Roswell 62, Lambert 33: Freshman Ella Boyle scored a team-high 17 points. Jasmine Frierson and Georgia State-signee Kennedy Powell netted 10 apiece. Lindsay Pruitt added 6 points and 5 steals. Makala Torrence finished with 6 points, 5 assists and 4 steals. No. 1 Lovejoy 85, Morrow 18: Genesis Bryant dumped in 22 points while J’Auana Robinson pitched in 14 points. Anaya Boyd totaled 10 points, 6 rebounds and 10 assists. No. 3 Northview 68, Cambridge 30: Rice-signee Ashlee Austin netted 19 points while Asjah Inniss scored 18 and Charleston Southern-signee Maya Richards finished with 17. Markiema Lancaster scored 9 points. No. 6 Douglas County 70, Alexander 56: Clemson-signee Amari Robinson poured in 25 points while Dymon Cook scored 15. Alexander was led by sophomore Chloe Pollock’s 22 points. No. 10 Pope 74, Johns Creek 54: Cheyenne Holloman scored a game-high 21 points. Katie Ward netted 15 and Kara McKiernan scored 14. Abby McKinley added 13 points and Teya Holloman put in 9. In the loss Johns Creek got 13 points from Ahmia Childs and 10 from Carson Tanguilig. ML King 46, Tucker 43: Ashlynn Green scored 17 points to power the Lady Lions. Daziah Hairston chipped in 9 points. New Manchester 59, Langston Hughes 37: Hannah Wright scored 13 points. Vanderbilt-signee Kyndall Golden posted 12 points, 8 rebounds, 4 assists and 3 blocks. Azaria Robertson chipped in 8 points and 6 rebounds while Kamryn Bates had 6 points, 4 assists and 3 steals. Centennial 48, Chattahoochee 26: Mya Davis (12) and Aerial Nathan (11) combined for 23 points. No. 1 Villa Rica 83, Bremen 34: Kentucky-signee Deasia Merrill pumped in 25 points. Dekyia Cofield scored 13 points followed by 10 apiece from Aliyah and Niya Hindsman. No. 5 Eagle’s Landing 51, No. 7 Woodland-Stockbridge 37: Jaleah Storr posted 18 points and Jalisa Dunlap had 13 in the win. McIntosh 57, Whitewater 45: The Lady Chiefs advanced to 4-0. Rylee Calhoun (13), Keara Collins (12) and Carrie Consolino (11) all cracked double figures. Kennedi Miller and Olivia Henders each cored 6 points while Anna Muh had 4 points and 7 rebounds. Cass 62, Chapel Hill 27: Sharia Wade netted 16 points and Claire Davis had 12 in the win. Payton Stoddard chipped in 11 points. Alexis Ware scored 8 while Londaisha Smith, Ariana Hames and Brianna Stephenson all scored 5 points. No. 4 Henry County 75, Salem 37: Briana Juniel scored a team-high 20 point. Paris Mullins added 15 points. A’Maiya Jackson (12), Janiya Jones (11) and Sky Watters (9) all chipped in. No. 7 West Laurens 57, East Laurens 49: The Raiders got a game-high 29 points from Calmela Mack. MaKayla Murray scored 14 points followed by Jakerra Wilbur’s 11. Pickens 74, Ridgeland 52: Mykenzie Weaver finished with 25 points, 11 rebounds and 2 steals. Torie Williams had 11 points, 4 rebounds and 4 assists while Sarah Morris tallied 11 points and 3 rebounds. Olivia Simmons collected 9 points, 10 rebounds and 8 assists. Chestatee 59, Johnson-Gainesville 18: Maggie McNair (11), Christina Garcia (9) and Nicole Sedwick (7) paced the War Eagle offense. Morgan McNeal and Emma Easterwood scored 6 apiece. North Oconee 49, West Hall 30: Ansley Hall double-doubled with 11 points and 10 rebounds. Tatum Thompson had 4 blocks. No. 5 Hart County 79, Elbert County 54: Western Kentucky-signee Torrion Starks triple-doubled with 23 points, 11 rebounds, 10 assists and 8 steals. Shakendra Grove added 21 points. Taniya Alexander finished with 19 points and 17 rebounds. Franklin County 52, Stephens County 38: Bailey Aderholdt scored 18 points to carry the Lions. Lexy Spencer added 15 points and Rose Boyd contributed 9 points. No. 1 Dodge County 61, Crisp County 21: Destanee Wright had 20 points while Europe Brown and Kylie Hart scored 12 apiece. Kaonte Goolsby added 9 points. No. 3 Rabun County 75, Walhalla (SC) 24: Brooke Henricks finished with 15 points while Laken Stiles added 12 points, 4 assists and 7 steals. Presbyterian-signee Georgia Stockton tallied 10 points. Destiny and Gracie Deetz scored 8 apiece. No. 8 Fitzgerald 72, Wilcox County 42: Hayleigh Ross exploded for 30 points, 9 rebounds, 3 assists and 7 steals. Keyara Boone posted 25 points, 8 rebounds and 6 steals. No. 9 Banks County 51, East Hall 35: Amber Williams (13) and Heather Vaughan (11) both scored in double figures. GCSU-signee Jaycie Bowen added 8 points. Kennedy Smith scored 7 and Pollie Simpson had 6. No. 10 Bryan County 63, Jeff Davis 26: Olonna Rawls poured in 27 points while Alation Eason scored 17. Jay Black had 7 points and Shelby Gunn scored 5. South Atlanta 65, McNair 42: Ashanti Cobb buried 7 threes en route to 34 points. Hapeville Charter 51, Washington 33: Ja’dah Thomas had 21 points, 5 rebounds, 5 assists and 4 steals. Jada Hardison posted 10 points and 3 rebounds. Jer’maya Moore tossed in 8 points and 8 boards. Union County 50, Fannin County 48: Freshman Ava Hunter had a game-high 18 points. Andelin Hill scored 11. Kyla Locklear added 8. Becca Ledford and Morgan Holt scored 13 apiece for Fannin County. No. 6 Lakeview Academy 76, Rabun Gap 73 2OT: Joelle Snyder (18) and Eliza Snyder (17) carried the Lions. Savannah Kinsey scored 12 points and Maddy Towles had 11 point and 3 assists. Sadie Thrailkill tallied 6 points, 11 rebounds and 7 steals. No. 7 Calvary Day 52, Hilton Head Christian (SC) 42: Zhani Thompson double-doubled with 21 points and 14 rebounds.